GEORGE MCGOVERN’S BANKRUPTCY | Jeffrey B. Irby, P.C. McGovern lost the presidential election to Richard Nixon, and by a landslide. Perhaps this massive public defeat, and the subsequent resilience it required, is what prepared him to extract valuable lessons from his subsequent bankruptcy. In 1988, McGovern bought and renovated a hotel in Connecticut, but two years later, the hotel went into bankruptcy. 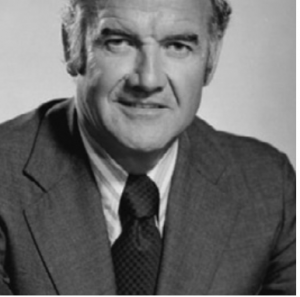 As a public figure, McGovern’s bankruptcy made national news. Who would have blamed McGovern for hanging his head in shame and hiding from the spotlight? Certainly, this is what many people might have chosen to do. But McGovern chose a different path: He turned his past failures into wisdom. Instead of letting his bankruptcy defeat him, he added it to his inventory of life obstacles, using it to grow, learn, and expand his understanding of the human experience. He did not wish that the bankruptcy had never happened. Instead, he actually wished that he had experienced bankruptcy earlier! What can you learn from bankruptcy that will allow you to grow your capacity as a human being? Can you use it to become more compassionate? A better business person? A savvier investor? When you make a choice to shift your thinking about your bankruptcy, you will likely extract a number of lessons that make you wiser and stronger in the years ahead. In fact, McGovern left behind a reputation as a wise man with a life committed to service.